When people object to evolution they typically do so in a handful of ways, like the classic “why are there still monkeys?” An argument so common that the great “take that Darwin” twitter account always manages to find a dozen or so examples every day. Another is that any given example of evolution simply represents a change within “kinds”. Birds stay birds, and bats remain bats. A reader recently asked for the evidence for evolution. Alas, they were unconvinced by what I wrote. Their response essentially revolved around this classic argument. They claimed that all the examples of evolution I gave simply represented some sort of intra-kind variation. So today I’m breaking down their objections and, in the process, tackling some deeper evolution denier memes. When I say that Don – the reader in questions – response revolved around the “kinds” argument, this was not an exaggeration. Their reply email consisted of three paragraphs. Two and half of these were reiterating the argument that the birds remained birds and so forth. That’s why the quote below is so long, it represents almost the entire email. Plus each of the creatures remain mosquitoes, peppered moths and bacteria. . . . Again however they are still birds. If you were showing some type of change in which say the bird could be seen as beginning a change into a dinosaur then one would need to give the matter serious consideration. As far as I can see the E. coli are still E. coli however. Please correct me if I am wrong. The mutations are causing certain changes in the E. coli but E. coli they remain it seems to me. Of course, this is not a new argument invented by Don. It’s been propagated by all the big creationist organisations. Answers in Genesis is even in the process of trying to figure out which species belong to which kinds, which has led to some rather fierce debates over where mosaic species like Homo naledi should fit. It was perhaps most famously put forward by the one-and-only Ray Comfort. He argued that we should see shifts between kinds if evolution were true. His example of what such a change would look like? 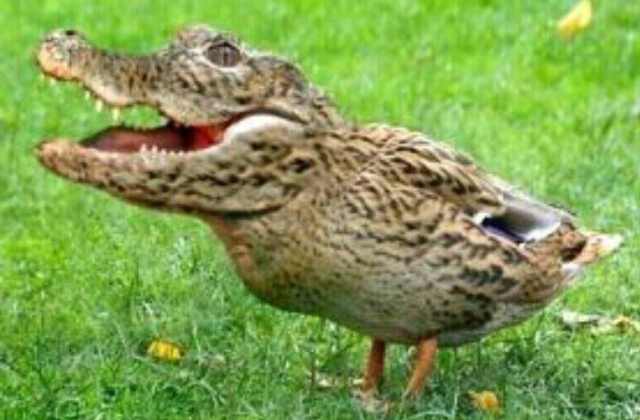 The incredible crocoduck. Nevertheless, Don does an excellent job summarising the main argument. So let’s deal with it. If evolution were true, should see a bird changing into a non-bird? Sorry to keep you on tenterhooks for an entire sub-heading, but the answer is no. In fact, this within-group change is exactly what you’d expect an evolving species to look like. And it all comes from how we define groups. Allow me to explain. When we label an animal we do so hierarchically. Imagine a pool of all animals that we begin dividing into boxes. Each box then gets further subdivided based on shared features within that box. Crucially, each new box exists within the previous tier. Mammals contain carnivores. Carnivores contain bears. But crucially, a bear is still a mammal. In other words, as things evolve they gain new labels, but never lose the old ones2. This stems from the gradual nature of evolution. You don’t get these massive sideways leaps into a new clade. As such, the fact you keep getting this “birds staying birds” is actually evidence for evolution. 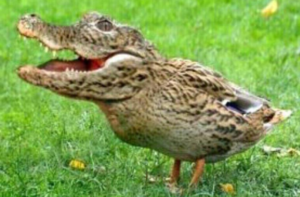 And the infamous crocoduck would actually be evidence against it. So, the main problem with this argument is that it offers up a false criticism. An argument that ostensibly sounds convincing, but doesn’t offer a real counterpoint to evolutionary claims. Unfortunately, it isn’t the only flaw in the argument. Plus each of the creatures remain mosquitoes, peppered moths and bacteria. . . . Again however they are still birds. Here, we’re critiquing the amount of documented change. However, each of these represents a different taxonomic tier. Let’s return to our bear chart. Peppered moths are a species. Mosquitos are a family. Birds are a class. Bacteria are a domain. Each represents a different tier and thus would tolerate a differing degree of change whilst still being considered change within a kind. A peppered moth could change so much it is no longer a peppered moth (even becoming sort of weird crocoduck hybrid) and still not have changed enough for it to shift family. In other words, how much change can be tolerated within one of Don’s “kinds” is variable because the definition of a kind is variable. Goalposts can keep moving just enough to ensure no shift can be counted as proper evolution. The “birds are still birds” argument falls down because, based on evolutionary principles, birds should remain birds. As they gradually change they should become birds+. But they would still be labelled birds, because that’s how we describe species. Just like how humans have changed compared to apes, but are still technically apes. And apes are primates, and so forth. Even if we would expect to see dramatic changes that went beyond taxonomic boundary, this argument also varies which sort of boundaries must be crossed to vindicate evolution. It’s a moving goalpost that always changes just enough to ensure no evidence is sufficient. See them little numbers throughout the post. The refer to bits here. Because I’m thorough like that. There are some cases where the labels don’t accurately align with a group’s evolutionary history. This is because they were developed before evolution was fully understood. This resulted in so-called polyphyletic groups that scientists are working to fix. 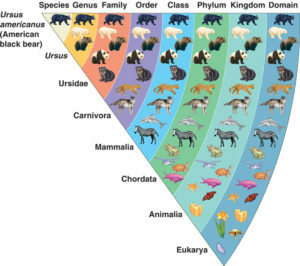 The current way of grouping species was developed by a creationist. As such, it’s not great at dealing with evolution. There has been some debate at how to fix this when a species changes. One solution may involve a species changing low-tier labels, like genus or species. So it may be the case that in some circumstances a species does lose some minor labels. Although this doesn’t really change the point I’m making. Next post: Australopithecus sediba: Early human or ancient ape? You do very good work here. Keep it up and so forth. However, you are wrong on this. Don was correct in requiring evidence of evolution from one group into another. Evidence that species never evolve beyond their group would be some tangential evidence against theory. Ostriches are potentially on an evolutionary trajectory toward something very like the dinosaurs. They evolved from flighted birds to flightless birds and could well lose the wings (which are currently used for defensive and territorial display) to the development of arms. I could easily see that in their future. Skinks are becoming snakes. Dolphins and seals are becoming fish. Bats are becoming birds. Mud skippers are becoming amphibians. Monotremes are on the cusp between reptiles and mammals. Newts are becoming eels. If I wasn’t supposed to be actually working at this moment I’m sure I could come up with more examples. Every single species is potentially on a divergent path, since the only thing that matters is descent with modification (of existing forms and structures) and differential survival. Now granted, natural selection is constrained to work only with whatever the creature has in its kit bag, but loss of form and structures is relatively easy and common. At the least, such loss can drive a lineage right back to something very similar to what would look to the non-specialist like an unrelated creature. Your counterargument is too too correct. You need to sweep away correctness and look at groups of species like a 10th century BC sheepherder in the Mideast like Don does . Birds are feathered creatures that fly. Maybe an ostrich is a bird and maybe it isn’t. Any more detail than that is pointless. Talking about taxonomy and cladistic theory is going to get you absolutely nowhere. You’re right that evidence of changing species is important. However, it’s also important we’re clear about what sort of change we’d expect to see under evolutionary models. This post was an attempt to rectify some of those mistakes. I’m on your side Adam. My suggestions will help. I recalled another creationist canard I’d heard the other day. Some comment about never observing a mouse evolving into an elephant. The way the comment violated phylogeny is hard to correct and then argue with. The models wouldn’t obviously expect an existing taxon to evolve into another existing taxon. That’s not the way it would work at all. As usual with the YEC criticism of evolution, it isn’t even the right question. However, to don the cap of YEC thinking, it could be argued that mice are actually evolving into elephants. The second largest native South American mammal is a capybara (tapirs are the largest), Capybaras are rodents. Absent large mammals since the end of the Pleistocene, ecological niches are available in South America for typically smaller mammals such as rodents to evolve into. Capybaras are perhaps on their way to becoming the elephants of South America. Note that the earliest ancestors of capybaras would have looked very much like modern mice. Wouldn’t you prefer one from my wheelhouse? Perhaps we could get a Piltdown Man badge instead. 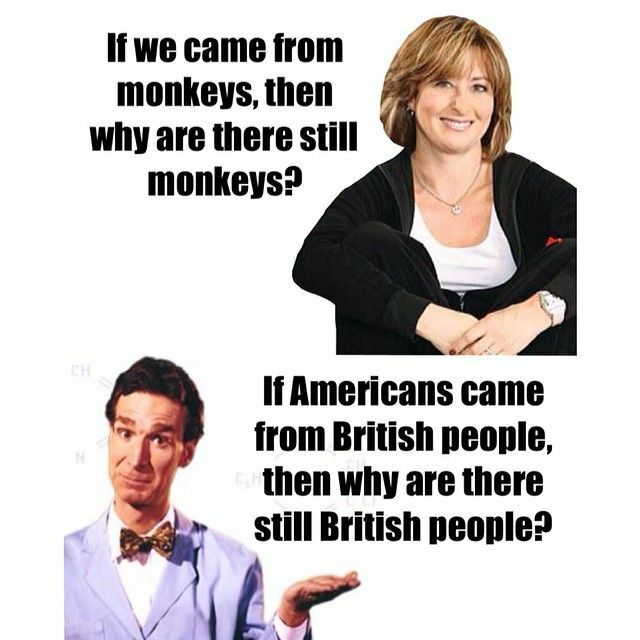 At least that’s related to human evolution. And yet if as you say, birds will always be birds, then we are still invertebrates, still anthropoids, still fish. You can’t have it both ways. If mammals are always mammals which isn’t true by your theory since we were once fish…. So nothing stays as it once was, despite your claiming it does. Although we’ve both changed a lot since then, that classification still applies to both us and fish. We are still part of that parent group of vertebrates. Evolution has added to and modified that classification, but not broken it. If you’re interested in finding more of these common ancestor parents, there are some great websites showing our march through the tree of life. This one is my favourite.